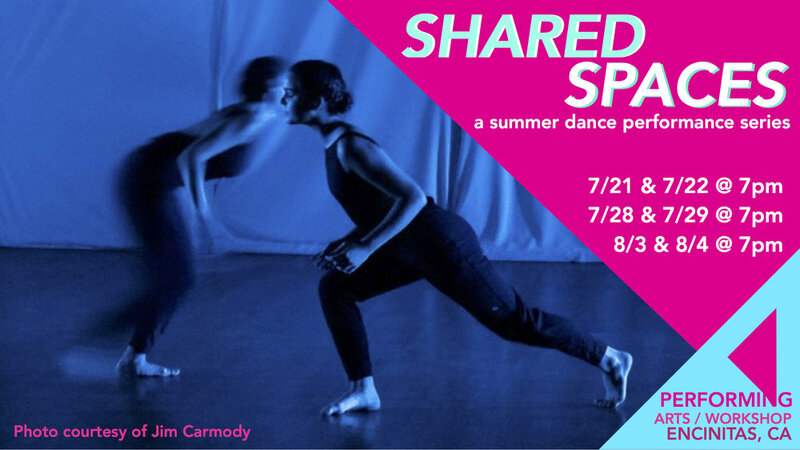 Shared Spaces is a low-tech, high-community summer performance series seeking to build community through art-making and performance. Heather Glabe, Performing Arts Workshop, and Sadie Weinberg of LITVAKdance have teamed up to present are three exciting weekends of dance and community in July and August. We are looking for artists to participate. In the process of this series participants will create work, present and support each other, and engage in peer feedback using Liz Lehrman’s critical response process. PAW offers space grants to participating artists and profits will be split evenly between house and artists after expenses each weekend. Artists apply today! Fresh Dances is a yearly performance in the third week of August showcasing local, national, and international choreographers in San Diego, CA at the San Diego Dance Theater White Box Theater in Liberty Station. The purpose of this performance series is not only to show diverse and exciting quality work from a group of choreographers and dancers, but to fund artists, to continue to build personal and professional connections among our community, to educate audiences through great dance making and programming, to challenge expectation, and to provide a platform for critical feedback. Artists apply today!